Doppi & Tubeteika - When is a hat not just a hat? When is a hat not just a hat? If you are from Uzbekistan, you can easily spot the differences amongst the seemingly endless array of colorful and embellished doppi and tubeteika worn here. Tubeteika (from the Tatar tubeke or top) is the Russian word for what is known as a doppi in Uzbekistan. They take a variety of shapes depending on local tradition and the maker’s creativity, but can be round, square, slightly conical, or even tetrahedral, and best of all - easily folded to carry! Rich fabrics and colors patterned, embroidered and embellished, this little cap is a cultural icon of Central Asia and an essential part of folk costume. While it may not be a common sight in big cities these days, no one would consider attending a festival, wedding or religious event without one. Embroidered Doppi from BukharaI grew up in Bukhara, considered one of the most ancient cities of the Silk Road, a treasure trove of centuries of tradition. In Uzbekistan, mothers and grandmothers make beautiful handmade dresses and hats for their families and ever since my childhood, I’ve loved my matching outfits, never complete without my doppi. Sometimes they would come from the hat seller at the Chorsu Bazaar, known as the crossroads bazaar of the Silk Road since the 16th century. My hats were made of cotton or silk, or Persian lamb in winter, and embroidered with motifs in gold thread and bead work. My aunt’s home is located right behind the Kalon minaret, one of the major sites of Bukhara and I learned my first English words here from visiting tourists. They always asked to take my photo dressed in my uzbeki style dress and doppit. My love of traditional clothing has inspired me to collect hats everywhere I travel. Central Asia tours can be enjoyed all year around, however, unless you are planning to trek in the mountains, the ideal times to visit are springtime, from March to May from September to November in fall. The hiking and trekking season is limited to the short summer season in the mountains, when the snows have melted and the trails are passable. 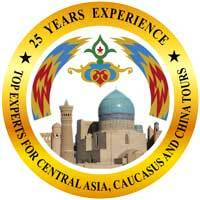 There are incredible opportunities to explore the ranges of Central Asia; from easy day hiking to adventure trekking and white water rafting. Skiing is available in the winter, including heli-skiing in the Tien Shan down virgin powder slopes. Spring is a wonderful time when nature bursts into bloom in Central Asia! The surrounding mountain peaks are rimmed with winter's snows, but the forests, valleys, steppes and farms are lush with new growth. Fruit trees blossom and even the desert landscapes change with the last of the winter rains and snowmelt, with the season's tulips, irises and sedges. The traditions and customs of the Uzbek people have been shaped by their unique position at the crossroads of the Great Silk Road. The treasures that flowed were not only the ones that can be held in one's hand, but also those that touch the heart and soul. Art, philosophy, science, and religious ideals were exchanged, enriching the cultures of both the travelers and their hosts. 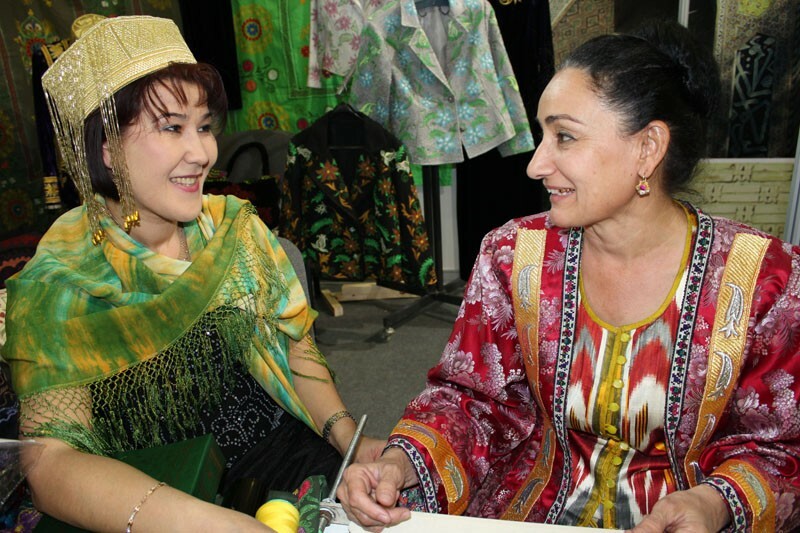 Uzbek culture reflects a beautiful synthesis of these influences, while maintaining its own unique traditions. From the harmony of its architecture to the masterful detail of its applied arts, from the busy, noisy bazaars to the peaceful, laid-back chaikhana, a journey through Uzbekistan is unique and unforgettable.